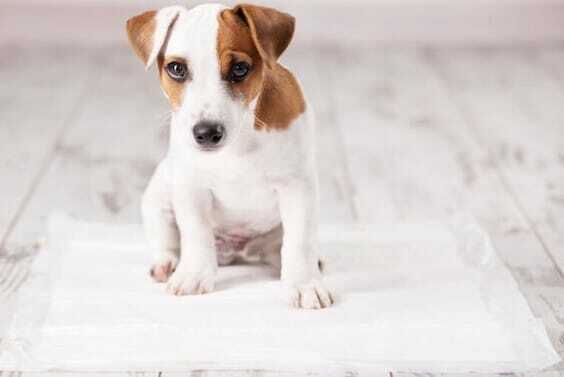 Feed your puppy about three hours before bedtime, to allow time to digest and go to the toilet. Encourage your puppy to drink a few hours before bed too. Otherwise, they will likely need to go to the toilet during the night. Take your puppy out for toileting just before bedtime. Take them outside as soon as you get up in the morning, and as late as you can before you leave the house. Be prepared to go out right after meals. Use a simple word when your puppy is doing what you expect in the correct place. Also reward with a treat or a toy when they have finished. If “accidents” happen, remain calm, take your puppy out kindly to where they should go. Clean the soiled area thoroughly, not in the view of your puppy.